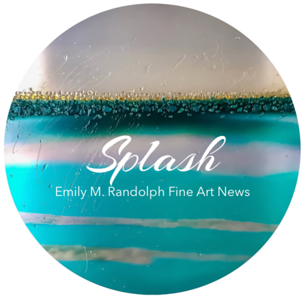 Abstract seascape by Emily M. Randolph Fine Art. Imagery is printed on DiBond aluminum, hand-finished with mica, glass high gloss resin for a textured and glass-like effect. Cut in the round. Float mount.